Appalachia & Beyond: Power Outage: Supper Emergency! Last night, we had some terrible storms roll through our area. Around 7:00, I decided it was time to cook supper. I wanted something easy to cook, but that was too much to ask for. Ashby cursed me by saying the second I started supper the power would go out. And she was right! At the exact moment I got to the most critical part of Kraft's new Homestyle Mac & Cheese - which by the way is just a fancy, overpriced way of making boxed Mac & Cheese (thank goodness I didn't pay full price for it!) - the power went out. 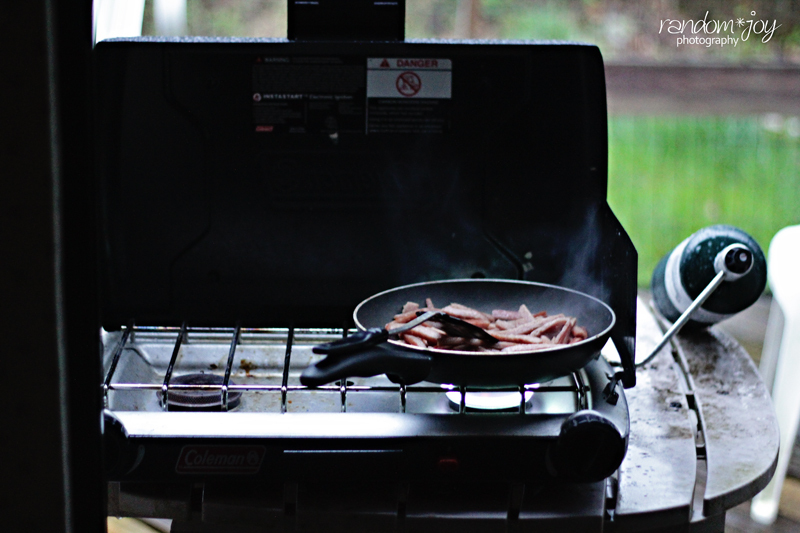 Our trusty Coleman propane stove . Tim hurried and set it up out the back door for me, and I hurried and finished the fancy, gourmet, tasted-like-regular Mac & Cheese. 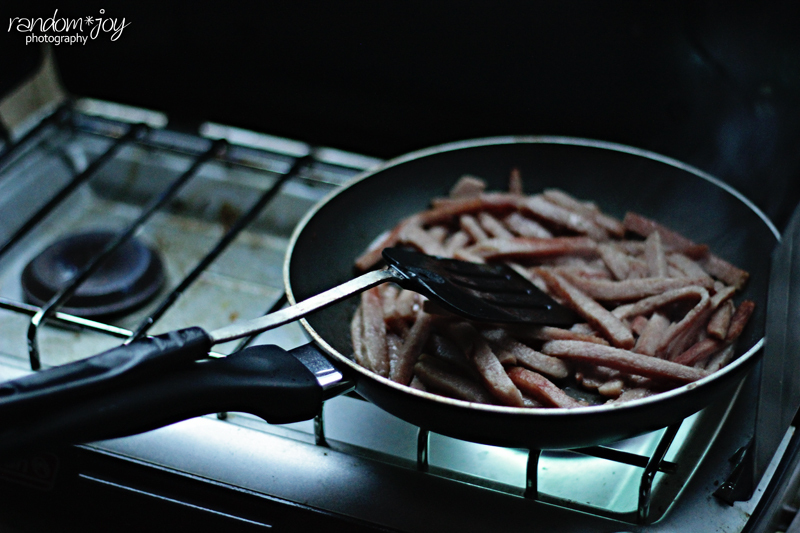 Then I put the julienne-sliced Spam *haha* on the burner to finish frying it. Since it was so dark, we didn't get many photos. And Tim got in trouble anyway for being too busy with the camera and burning the Spam while I was saving my Photoshop work and shutting down my computer before my UPS crapped out on me. But the great thing: we got to eat our "gourmet-style" Mac & Cheese by candlelight.